Hair loss is a common side effect of aging. 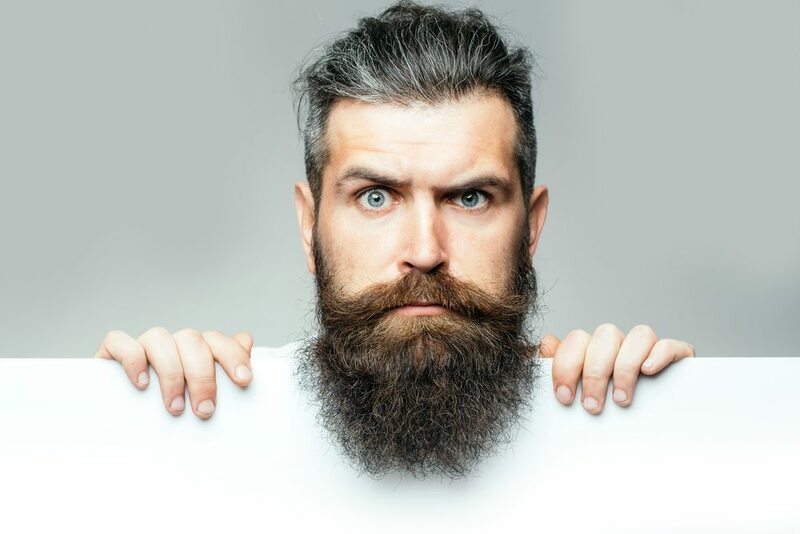 Despite wide held beliefs, hair loss does not just affect men. Millions of men and women are affected by hair loss, and many do not know that they can do something about it. You might’ve tried some hair loss products before, but most of them are held up by flimsy science and are just trying to get your money. It can be hard to find something that actually addresses the problems behind hair loss and provides consistent results. 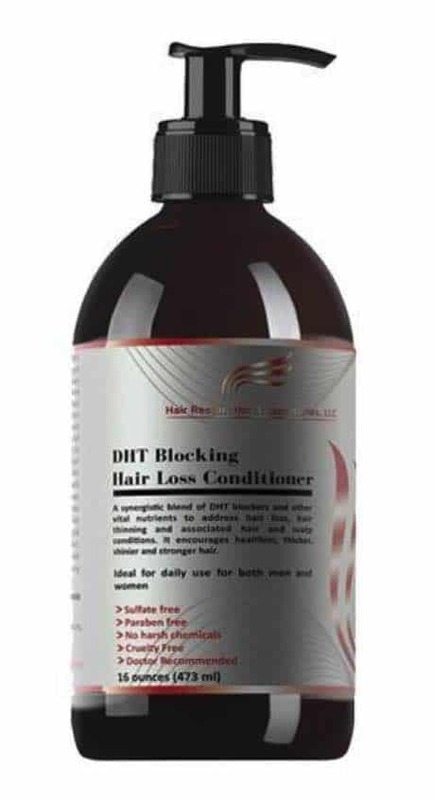 However, Hair Restoration Laboratories’ DHT blocking hair loss conditioner has been causing a lot of buzzes, so I decided to try it out for myself, you can read my full review below. Safflower oil plays a couple different roles in this hair loss conditioner. The first of which is protecting the scalp and hair follicles, thanks to its high levels of oleic acid. This oil is also useful is promoting blood circulation to the scalp. Of course, blood carries nutrients, so the more circulation your scalp is getting, the more nutrients it is getting. It also helps unclog pores, which may be the cause behind your thinning hair. Lastly, safflower oil brings a nice shine to your hair and helps keep it nice and strong. It’s a great conditioner due to the fact that it is rich in vitamin E.
It may seem strange to put caffeine on your scalp instead of in your mouth, but there’s a reason for this madness. Caffeine has been shown to promote hair growth and stimulate new hair growth. In this conditioner, caffeine acts as a powerful DHT blocker, which is the main chemical responsible for hair loss. By blocking DHT, you’re scalp is able to retain the hair it grows instead of it just falling out. Caffeine is also a natural stimulant, which is why it gives you a boost of energy, and it works similarly for your hair follicles. Caffeine stimulates hair follicles, giving them a little energy boost, and promoting new hair growth. Soy isoflavones increase the levels of a growth factor called IGF-1. This helps promote hair growth and overall healthier hair. They also act as another DHT blocker, further preventing hair loss. People usually assume you have to ingest stuff like this to see any results, but topical application will give you results the same way. Soy isoflavones have been shown to be highly effective, which is why they’re included in this conditioner, and they are safe enough for use by both men and women. Chances are you’ve heard of amino acids. They’re super important components that out bodies need to create proteins. Hair is made up primarily of a protein called keratin, you’re probably starting to see how this all connects. Silk amino acids provide your body with amino acids that it does not naturally make, but that it needs. This allows your body to create better, more complete proteins, which will directly affect your hair. Given all the right amino acids, your body is able to create stronger keratin, meaning stronger hair that is less prone to thinning and breaking. Silk amino acids also act as a powerful conditioner, giving your hair a healthy shine and fuller appearance. Rosemary leaf oil is the last key ingredient I want to talk about. You’re probably used to using rosemary in cooking, but the oil of the leaves can also be used as a hair growth stimulant. Rosemary is credited with dilating the blood vessels on your scalp, increasing blood circulation to your scalp. Studies suggest the oil may be as effective as minoxidil, a commonly used medicine to treat hair loss. Rosemary is known to be stimulating, antiseptic, restorative, and antimicrobial, so it’s easy to see why it makes a good addition to this conditioner. The first time I used this conditioner I wasn’t expecting to see any kind of immediate results. I thought it would just feel like a regular conditioner, and for the most part, it did. It had the same consistency and felt the same going on, but I could tell a difference when I washed it off. Right away my hair felt softer, it was silky smooth. When I got out of the shower and let my hair dry. I could see my hair actually looked better already. I’m not saying it grew back all of my hair after one use, but I could tell it was doing more for my hair than regular conditioner after one use. My hair was shinier and softer and actually felt a bit stronger, although that part may have been in my head. I also realized I prefer the scent of this conditioner over my old conditioner, this one just smells fresher and leaves my scalp feeling more refreshed. I felt like all of the dry skin and gunk that might’ve been clogging my pores was washed off and my scalp could breathe. Overall, this conditioner made a great first impression on me, but did it hold up over time? First impressions are important, but they don’t give you a chance to test whether the conditioner actually works. This is a product that takes time to work, you can’t get results after just using it once, but after a few weeks you can start seeing real benefits. It took me about 3 and a half months to start seeing results, but once it started, I couldn’t have been more pleased. My hair stopped falling out when I brushed it, it looked fuller and thicker, healthier, and felt ten times stronger. I was surprised to see such positive results, but what really blew me away was the actual new hair growth I saw. I was having problems around my temples, my hair was thinning and going back, not a lot but it was enough for me to notice. After a few weeks, I noticed baby hairs growing along the corners of my hairline, where it had previously fallen off. I was super impressed because I was under the impression once you started losing hair you couldn’t ever grow it back to its full potential. But now that I have seen the growth start, I am very hopeful that my hair can be restored back to how it was. I plan on continuing my use of this conditioner for a while, and I have also paired it with the DHT blocking hair loss shampoo from Hair Restoration Laboratories. As far as side effects go, I haven’t experienced any since I have started using this conditioner. I don’t see any reasons why you would experience any side effects, unless you are allergic to one of the ingredients or you misuse the product. As long as you follow the directions on the bottle, and don’t ingest it, you shouldn’t have any negative side effects from using this conditioner. My final verdict probably isn’t too surprising, I highly recommend this conditioner to anyone suffering from hair loss. I never thought I would be able to reverse my hair loss, but this conditioner has given me hope and it’s not costing me an arm and a leg. I know how embarrassing and isolating hair loss can be, especially as a woman, but Hair Restoration Laboratories finally offers a solution. So many hair loss products have negative effects on women’s hormones, but this is something that women can finally use. Lastly, this conditioner promotes hair and scalp health more so than any other conditioner I have tried. People don’t realize that the culprit behind their hair loss could be their conditioner, which is likely full of harsh chemicals. Thankfully, there are no harsh chemicals in this conditioner and it is specially formulated to maintain a happy scalp.